A Musical Play for Young Singers. A Tuna Fish who can't carry a tune? A Star Fish who can't get an acting job? A seven-legged Octopus? A Zebra Fish with spots? A Tiger Shark who wants to be friends with everyone? Join in the aquatic fun as little Tiger Shark and his unique collection of friends discover how their differences make them each special. 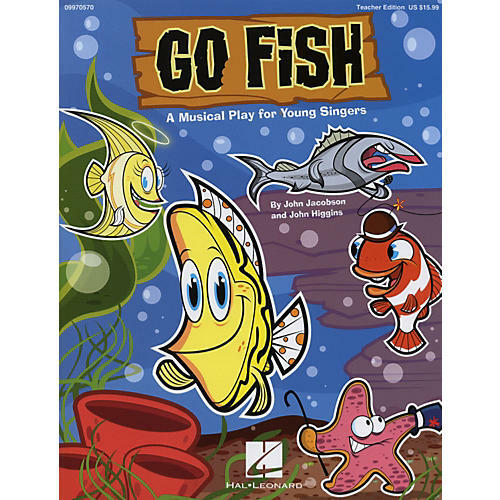 This 25-minute musical for primary grades features 5 original songs, easy rhyming dialog, a castload of parts, choreography, and helpful production hints. Performance Time: Approx. 25 minutes. For Grades K-3. Available: Teacher Edition, Reproducible Pak (vocal lines, lyric sheets, dialog), Performance/Accompaniment CD, Preview CD, Classroom Kit.